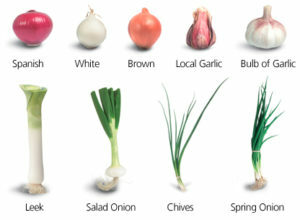 Different varieties of onions vary greatly in the amount of health-promoting benefits they deliver. 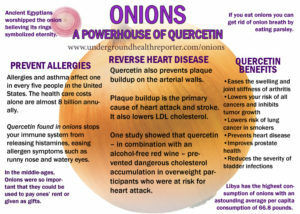 Onions are a major source of two types of phytonutrients that protect against cardiovascular disease, cancer and asthma. The onions you choose and the way you prepare them make a huge difference in the amount of beneficial compounds, and antioxidant and anti-cancer effects you receive. Generally, the more pungent onions give us more benefits. Of those available in the U.S., shallots have the most phenols, and Western Yellow onions have the most flavonoids, such as quercitin, noted for its asthma-protective effects. When tested against liver and colon cancer cells, Western Yellow, New York Bold and shallots were most effective in inhibiting their growth. Purple onions contain anthocyanins, the compounds found in cardio-protective purple grapes, berries and red wine. Summer onions (such as Walla Walla, Vidalia and Maui Sweet Onions), have a higher sugar content and a lower phytonutrient content, so do not provide the same level of health-promoting properties. 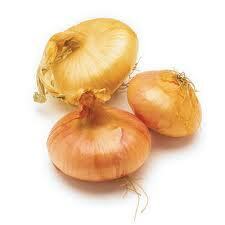 Onionskins have powerful antioxidant and anti-inflammatory powers. They provide a rich source of flavenoids, including quercetin, a very powerful antioxidant and anti-inflammatory compound. It is being studied as an agent for lowering LDL cholesterol and blood pressure, fighting allergies, reducing inflammation, enhancing muscle growth and function, treating depression, some forms of cancer, and other conditions. “Plants are the master chemists,” says Mary Ann Lila, who directs the Plants for Human Health Institute at North Carolina State University. “Because plants can’t move around, they have to manufacture what they need, not merely to grow, but to defend, protect, and heal themselves. It makes sense that the compounds plants produce in response to stress would help a human under similar circumstances.” It makes sense that plants would concentrate many of these protective compounds in the outer coverings—the skins and peels of various roots and fruits–the point where most environmental assaults would likely occur. To extract quercetin and other beneficial plant compounds that onions skins might contain, toss a whole onion or two, scales and all, into the pot next time you make soup, put a stew into the crock pot, or cook rice. A nice side benefit: onion skins will impart a rich brown or deep mahogany color to your broth, depending on which color onion you use. Ethnobotanist James Duke recommends an infusion of onionskins as a soothing wash for the itch of scabies and other skin disorders. Onionskins make gorgeous dyestuffs for natural fibers. Do a lesson on onions for your classroom. Study that onion carefully. See if they can identify the different kinds that you have. Soak some skins and dye something. I heard Tiny Tim sing the song “Onions, Onions, La La La” a long time ago, and it is such a catchy little tune and fun to sing. Kids would love learning it. Just put some onions in a bowl and see how many days till they start sprouting. Plant some chives outside and start a great little herb garden that will be a great teaching aid and pleasure to the senses! 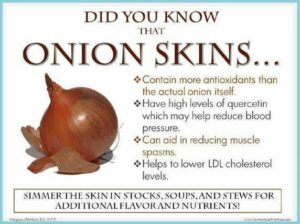 Onion skins for health The outer skins of onions have powerful antioxidant and anti-inflammatory powers and provide an exceptionally rich source of plant compounds called flavenoids, especially the powerful antioxidant and anti-inflammatory compound, quercetin. Quercetin is under study as an agent for lowering LDL cholesterol and blood pressure, fighting allergies, reducing inflammation, enhancing muscle growth and function, treating depression, some forms of cancer, and other conditions. “Plants are the master chemists,” says Mary Ann Lila, who directs the Plants for Human Health Institute at North Carolina State University. “Because plants can’t move around, they have to manufacture what they need, not merely to grow, but to defend, protect, and heal themselves. It makes sense that the compounds plants produce in response to stress would help a human under similar circumstances.” It makes sense that plants would concentrate many of these protective compounds in the outer coverings–skins and peels of various roots and fruits–the point where most environmental assaults would likely occur. To extract quercetin and other beneficial plant compounds that onions skins might contain, toss a whole onion or two, scales and all, into the pot next time you make soup, put a stew into the crock pot, or cook rice. A nice side benefit: onion skins will impart a rich brown or deep mahogany color to your broth, depending on which color onion you use. 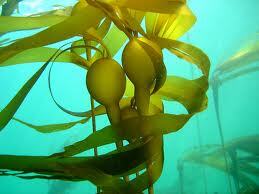 Kelp is a brown sea vegetable that grows in almost every ocean on Earth. It is known for its rapid speed of growth, with certain species having the ability to grow half a meter per day until their optimum length (often as long as eighty meters) is reached. Because of its length and its predictable habit of remaining in thick forests in deep water, kelp is easily harvested and is a popular ingredient in East Asian dishes. It is widely available to purchase in the East and the West, both as a standalone food product and as a health supplement in tablet and capsule form. The benefits of kelp are many. It is a good source of iodine and contains high amounts of iodine, which helps to improve thyroid function (iodine regulates thyroid hormones), maintains the health of our metabolism and immune system, and guards us against radiation poisoning. It has anti-inflammatory properties – Like hijiki and other brown algae, kelp contains the sulfated carbohydrate molecule fucoidan, which is a potent anti-inflammatory. It is a good source of iron. Like most sea vegetables, kelp contains a large amount of iron, an essential mineral that is responsible for supplying our blood cells with oxygen. Many people across America suffer from a deficiency in iron, which can lead to chronic fatigue, skin ailments, brittle fingernails, and more. Like blueberries and several other super foods, kelp contains antioxidants, which are substances that can protect our bodies’ cells from free radicals and other potentially hazardous elements. 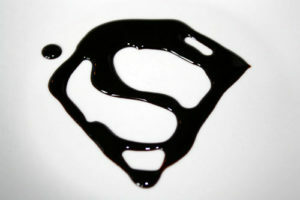 ;Molasses are a viscous by-product of the processing of sugar cane, grapes, or sugar beets into sugar. The quality of molasses depends on the maturity of the sugar cane or sugar beet, the amount of sugar extracted, and the method of extraction. Sweet sorghum syrup is known in some parts of the United States as molasses, though it is not true molasses. The three grades of molasses are: mild or Barbados (first molasses); dark, or second molasses; and blackstrap. To make molasses, the cane of a sugar plant is harvested, stripped of its leaves, the juice is extracted (crushing or mashing), and it’s boiled to concentrate it. The result of the first boiling is first molasses, which has the highest sugar content. Second molasses is created from a second boiling and sugar extraction and has a slight bitter tinge to its taste. The third boiling of the sugar syrup yields blackstrap molasses, known for its robust flavor. The majority of sucrose from the original juice has been crystallized and removed. The calorie content of blackstrap molasses is mostly from the small remaining sugar content. Unlike refined sugars, it contains trace amounts of vitamins and significant amounts of several minerals. Blackstrap molasses is a source of calcium, magnesium, potassium, and iron. One tablespoon provides up to 20% of the daily value of each of those nutrients. Blackstrap has long been sold as a health supplement. It is also used in the manufacture of ethyl alcohol for industry and as an ingredient in cattle feed. Sugar beet molasses is about 50% sugar by dry weight, predominantly sucrose but contains significant amounts of glucose and fructose. It is mainly used as an additive to animal feed. Blackstrap molasses may be used as an iron supplement for those who cannot tolerate the constipation associated with other iron supplements. Blackstrap molasses is the third and highest grade of molasses, differing from other grades of molasses. It has a much fuller and more robust flavor. Made from mashing and boiling sugar cane three times, blackstrap serves as a healthy natural alternative to many processed sweeteners. Blackstrap Molasses is considered by some health researchers as a holistic treatment for a range of ailments. Blackstrap is a great ingredient to have at hand for any health-conscious cook. It is great for people who have glucose or blood sugar level issues since it has a low glycemic index. The glucose and carbohydrates in molasses are broken down much slower than in processed sugars. They require much less insulin for the body to process and are healthier for those with blood-sugar issues such as diabetes. Blackstrap is high in iron, a vital mineral used by the body in its production of red blood cells. The high iron makes blackstrap a great choice for those trying to overcome anemia. Iron supplements tend to cause nausea and constipation for people with sensitive stomachs. Blackstrap is a healthy alternative for those looking to boost their iron intake without dealing with the side effects of artificial treatments. 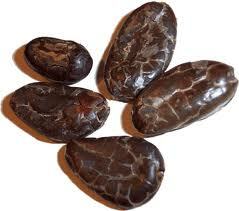 It’s a great source of calcium and a source of potassium, magnesium, copper, and manganese. Many people claim to have reversed their gray hair with it. Probably partly due to the copper content. Copper deficiency can lead to prematurely gray hair. Copper, an essential component of many enzymes, plays a role in iron utilization, elimination of free radicals, development of bone and connective tissue, and the production of the skin and hair pigment called melanin. Using two teaspoons of blackstrap molasses to sweeten your morning cereal and the coffee or tea you drink will supply you with 14.0% of the daily-recommended value for copper. People claim that molasses cured cancer, acne, arthritis, and everything in between. Molasses can be added to the soil of almost any plant or to the compost pile to promote microbial activity. The Benefits of ChocolateA 2011 Swedish study found that women who ate more than 45 grams of chocolate a week had a 20 percent lower risk of stroke than women who treated themselves to fewer than 9 grams. Regular chocolate eaters welcome a host of benefits for their hearts, including lower blood pressure, lower “bad” LDL cholesterol and a lower risk of heart disease. Dark chocolate is especially heart-healthy because of its inflammation-fighting properties that reduce cardiovascular risk. Because it is rich in fiber, dark chocolate can actually help keep you full, so you’ll eat less, Dr. David Katz, founding director of Yale University’s Prevention Research Center stated. Regular chocolate eaters might do themselves a favor by treating themselves to a bite instead of snacking on “11 other things first” he said. Dark chocolate does the trick much better than milk, according to a small study from the University of Copenhagen, and may even reduce cravings for sweet, salty and fatty foods. A small Italian study from 2005 found that regularly eating chocolate increases insulin sensitivity, thereby reducing risk for diabetes. Dark chocolate is actually good for your skin. 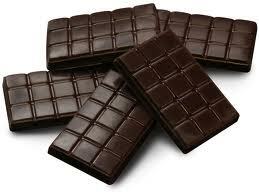 The type of antioxidants called flavonoids found in dark chocolate offer some protection from UV damage from the sun. An ingredient in chocolate called theobromine seems to reduce activity of the vagus nerve, the part of the brain that triggers hard-to-shake coughs. In late 2010, the BBC reported that scientists were investigating creating a drug containing theobromine to replace cough syrups containing codeine, which can have risky side effects. 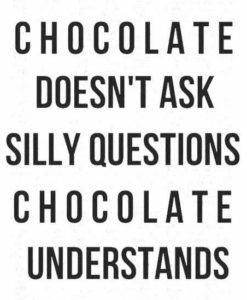 Chocolate eaters also report feeling less stressed. Cocoa has anti-clotting, blood-thinning properties that work in a similar way to aspirin, Dr. Fitzgerald writes, which can improve blood flow and circulation. Because of chocolate’s ability to improve blood flow, in particular to the brain, researchers at the University of Reading hypothesized in a small 2011 study that chocolate may also increase blood flow to the retina, thereby giving vision a boost. That boost of blood flow to the brain created by cocoa’s flavanols seems to make people feel more awake and alert, and, in a small British study, perform better on counting tasks. 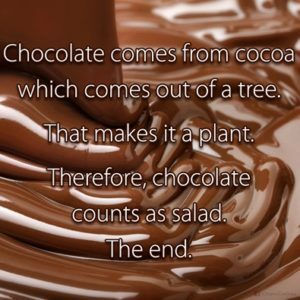 The chocolate should be at least 70% cocoa or more. You can order cocao beans on the internet and grind the chocolate beans like you would coffee beans, or break them into nibs to use in cooking. It’s a real treat! Raw Cacao? According to secrets-of-longevity-in-humans.com the antioxidant content of raw cacao benefits the cardiovascular system and whole body health. In processed dark chocolate, antioxidants can be present, but are in much lower levels than in unheated raw chocolate nibs as an example. Out of al whole foods that contain antioxidants, raw chocolate is the highest in the world. 1) Lower blood pressure & improve circulation – Flavanols, theobromine, and other components found in cacao may lower blood pressure and enhance circulation by promoting dilation, strength, and health of blood vessels. 2) Promote cardiovascular function & health – Antioxidant flavonoids and essential minerals and vitamins found in cacao support healthy heart functioning by lowering blood pressure, improving blood flow, lowering LDL cholesterol, and reducing plaque buildup on artery walls. 3) Neutralize free radicals – High levels of antioxidants protect the body from a buildup of free radicals from sun exposure, pollution, cigarette smoking, etc., which may damage healthy body tissue giving rise to cancer and cardiovascular disease. 4) Improve digestion – A sufficient amount of fiber with each serving of cacao supports digestion as cacao stimulates the body’s production of digestive enzymes. 5) Enhance physical and mental wellbeing – There are many components of cacao including alkaloids, proteins, beta-carotene, leucine, linoleic, lipase, lysine, and theobromine, that all work together to improve physical and mental health. Theombromine stimulates the central nervous system, relaxes smooth muscles, and dilates blood vessels, giving the body a boost of energy; “bliss” chemicals found in cacao help to increase circulation and availability of serotonin and other neurotransmitters in brain, improving mood and combating depression. Whole Rye – Rye has more nutrients per 100-calorie serving than any other whole grain. It has four times more fiber than standard whole wheat and provides you with nearly 50 percent of your daily-recommended amount of iron. The problem is, most rye and pumpernickel (made primarily from rye) bread in this country is made with refined flours. Be persistent; look for “whole rye” topping the ingredients list to get the healthy benefits. Whole Wheat can be readily found in bread and pasta products, but make sure the label says “100 percent whole wheat.” Terms like “multigrain” and “wheat” don’t cut it. Look at the ingredients and make sure the whole grain is at or near the top of the list. Each serving should contain at least 2 or 3 grams of fiber. 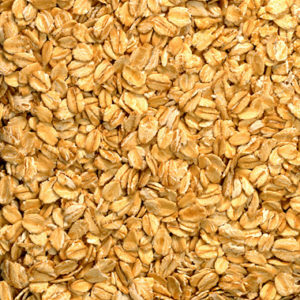 Whole Oats/Oatmeal are particularly rich in avenanthramide, an antioxidant that protects the heart. If you are buying something like instant oatmeal, avoid those that contain high-fructose corn syrup. A study this year found that the ingredient was a source of mercury contamination in oatmeal. 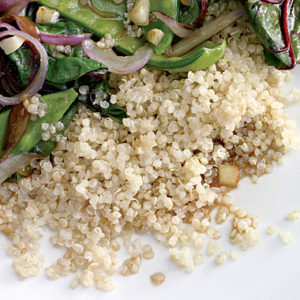 Bulgur – The grain is used to make tabbouleh salad and is a great source of iron and magnesium. The fiber and protein powerhouse (a cup contains nearly 75 percent of the dietary fiber you need for the day, and 25 percent of the protein you should get) can be used in salads or tossed in soups. It’s ready in minutes. 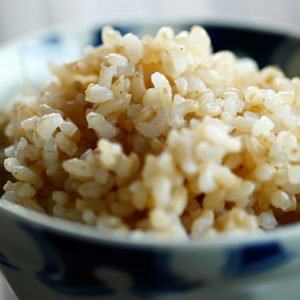 Brown Rice – When you choose white rice over brown, around 75 percent of rice’s nutrients – antioxidants, magnesium, phosphorus, and B vitamins contained in the healthy bran and germ—are left on the milling-room floor. Buy brown rice including brown aromatic varieties like basmati and jasmine. 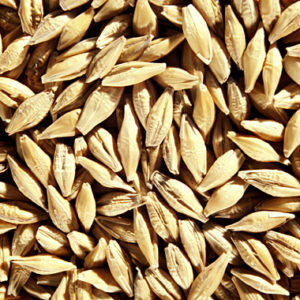 Whole-Grain Barley – Eating a half-cup of whole barley regularly for a 5-week period cut participants’ cholesterol levels by nearly 10 percent. 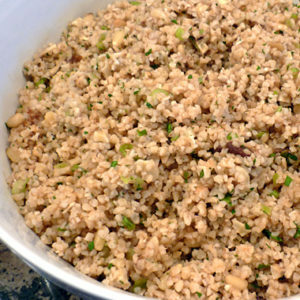 Add raisins or dried apricots to quick-cooking barley, and serve it as a side dish. Make sure it’s whole-grain barley, not “pearled,” which means the bran and germ has been removed. Buckwheat – It’s one of the best grain-based sources of magnesium, a wonder mineral that does everything from ease PMS symptoms to improve nerve functioning, and manganese, which boosts brain power. 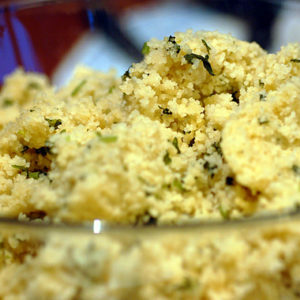 Whole-Wheat Couscous – Look for the whole-wheat kind, often most easily found in natural-food stores. 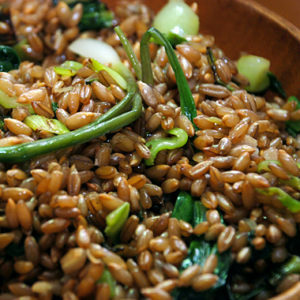 Skipping the refined version and going with the whole-grain type will gain you 5 additional grams of fiber. Corn – Corn can be healthy for you when it’s whole! A good source of B vitamins, magnesium, and phosphorus, whole corn is thought to increase healthy gut flora, ward off diabetes, heart disease, and chronic inflammation. 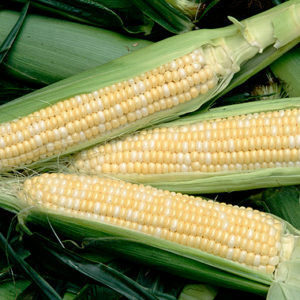 Yellow corn is high in antioxidants. Organic is important, as about 40 percent of the corn grown in the United States is genetically modified (GM) to withstand higher doses of pesticides. Some studies are starting to link GM foods to allergies and other health problems. Quinoa – Though it’s technically a seed and not a grain, this ancient South American power food is packed with more protein than any other grain, and each uncooked cup of the stuff (about three servings) has 522 milligrams of omega-3 fatty acids. Your family will likely enjoy its light, nutty flavor for a change of pace at the dinner table. 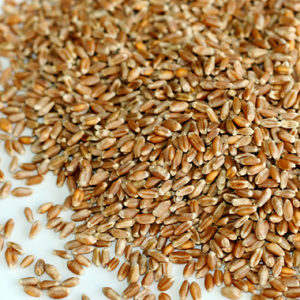 Freekeh – This Arabic grain is a low-carb form of ancient wheat that has up to four times more fiber than brown rice. 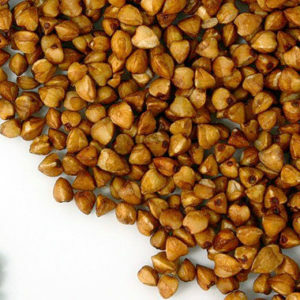 Freekeh kernels are harvested while they’re young and then roasted. They contain more vitamins and minerals, such as immune-boosting selenium, than other grains. 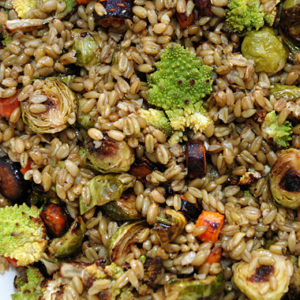 Freekeh acts as a prebiotic, stimulating the growth of healthy bacteria that aid digestion. Look for it in Middle Eastern markets or natural-food stores. Unrefined (virgin or extra-virgin) coconut oil comes from fresh coconuts and has not been changed with heat processes. It is the purest, most natural, least processed form. Unrefined coconut oil retains the most nutritional value and is superior to refined oil. While refined coconut oil is almost as nutritious as unrefined, it loses some of its health properties during the refining process. Avoid hydrogenated or partially hydrogenated coconut oils as the hydrogenation process creates synthetic trans-fats! 1. Appetite Suppressant – the fat in coconut oil triggers the release of a hormone that slows down food movement through the digestive tract. It is the last nutrient to get digested and leave the stomach, supplying you a delayed feeling of satisfaction after eating. 2. Breastfeeding – for breastfeeding moms, consuming at least 3 ½ tablespoons of coconut oil daily will enrich and increase the milk supply. 3. Bones and Teeth – coconut oil aids in the absorption of calcium and magnesium leading to better development of bones and teeth. 4. Digestion – the saturated fats in coconut oil help control parasites and fungi that cause indigestion and digestion related problems such as irritable bowel syndrome. 5. The fat in coconut oil aids in the absorption of vitamins, minerals and amino acids. 6. Energy Boost – coconut oil boosts energy and endurance making it a great supplement for athletes as well as those needing a quick pick me up. 7. Fitness – coconut oil has been proven to stimulate your metabolism, improve thyroid function, and escalate energy levels, all of which help decrease your unwanted fat while increasing muscle. 8. Improves insulin secretion and utilization of blood glucose making it great for both diabetics and non-diabetics who want to get their blood sugar stabilized before addressing other health issues. 9. Lung Function – increases the fluidity of cell surfaces. 10. Pregnancy – helps prevent gestational diabetes; keeps kidneys functioning; keeps morning sickness in check; and protects a mother-to-be from a host of potentially threatening infections as well as boost her immunity, which is naturally weakened during pregnancy. 12. Skin Tone – promotes firmer skin tone and less sagging. 13. Stress Relief – relieve mental fatigue by applying coconut oil to the head in a circular, massaging motion. The natural aroma of coconuts is extremely soothing thus helping to lower your stress level. 14. Vitamin and nutrient absorption – specifically magnesium and calcium. 15. Weight loss – the saturated fats contribute to weight loss and also increases metabolic rate. 20. Diabetes – helps with cravings by stabilizing blood sugar. Eases neuropathies and itching. 22. 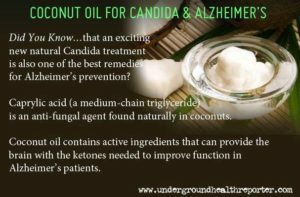 Coconut oil supports cell regeneration. 23. Age Spots – applying coconut oil directly to the age spot will help it fade. 24. Snoring Relief – by rubbing a dab of coconut oil in each nostril before bedtime, you will reduce swelling in the membranes of the lining of your nostrils which will stop the snoring. 25. Insect Repellent – mix coconut oil with peppermint oil extract and rub it all over exposed skin. Keeps insects off better than anything with DEET! Tons safer too.